﻿ MCN Fleet:Which mode's best for the X-ADV? 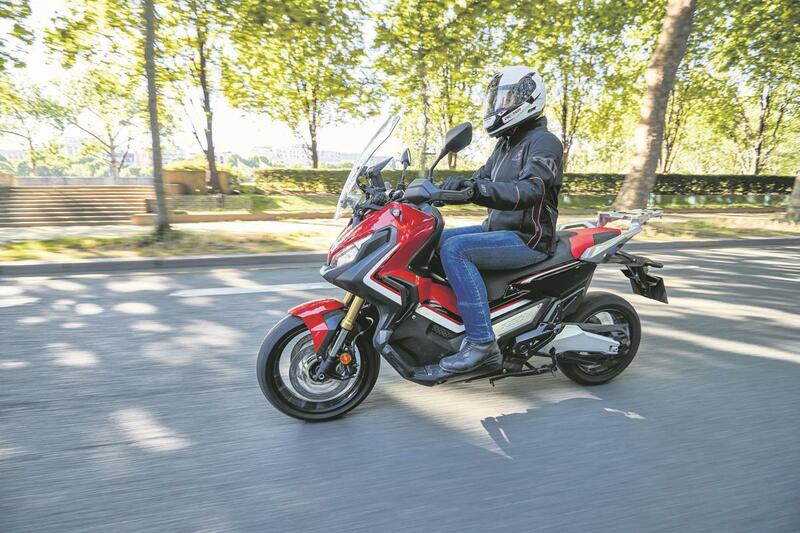 MCN Fleet:Which mode's best for the X-ADV? I feel that I should be wearing a white lab coat and not a leather jacket with all the testing I’ve been doing! I’m trying to work out which of the Honda X-Adv’s gear modes is right for me. Unlike other automatic gearboxes, Honda’s DCT (Dual Clutch Transmission) can work automatically or be manually controlled with paddle shifters on the left handlebar. 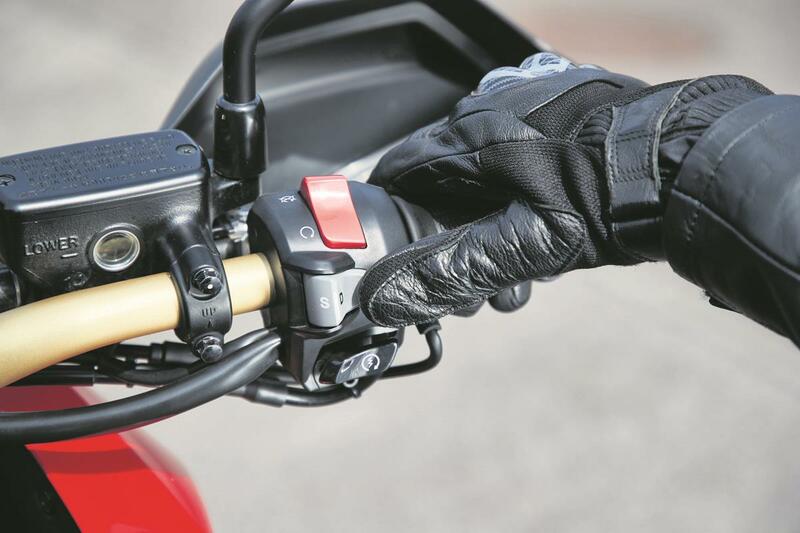 The first bike I rode with this system was the Honda NC700X in 2011 and then I wasn’t quite so inquisitive, so never really ventured out of the Drive mode. I’m a much more competent and confident rider now, so keen to get the best from the X-Adv. With this in mind I’ve spent the last month using each mode in isolation, finding all the little quirks they offer and deciding which suits me best and when to use it. In Drive mode, gear changes are swift, by 40mph I’m in sixth. It holds the gears far longer than expected when slowing. Annoyingly, below 10mph, it has a habit of dropping into first gear when I wouldn’t expect. As expected, Sport Mode’s fun and ideal on country roads. If I give a sharp twist of the throttle it will hold each gear longer, make the bike rev more between changes and doesn’t get up to sixth until I’ve settled at my top speed. Gear changes are similar to where I’d change if riding with a traditional box. Manual mode is strange, after riding the bike in automatic mode I found I forgot to go up the box, which made the engine protest. Having said that, once I got my head back into me being in control it was fun. There is an inconsistency when I drop down the gearbox. Sometimes there’s an automatic override, if I don’t change down quickly enough the DCT does it for me, which isn’t great. I’m a complete anorak with fuel economy, I run a spreadsheet and log every tank. I was really interested to find that there was just 3mpg different between the modes. As expected, Sport mode was the least economical, it still delivered 67.5mpg, which won’t make a massive difference to my pocket. With all the facts gathered and research undertaken, I’ve concluded each mode has its place but I’ll definitely favour Sport from now on.